What technology area do you expect to be a game-changer? Welcome to “GRIPPING THOUGHTS”, the space created by Insights Global where Clients, Partners and Friends are invited to share ideas and insights that help shedding light on the challenges that the Oil & Gas industry faces, in the near and long future. 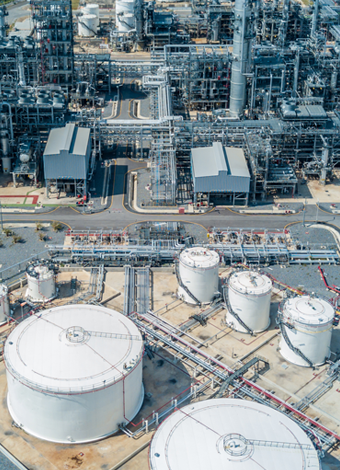 “Gartner recently released the results of their 2019 CIO Survey Oil and Gast Industry insights , based on 84 responses out of the 3,102 overall respondents from 89 countries. Let us discuss two of the questions posed, namely: 1) What is your organization’s top priority for 2018/2019? and 2) What technology area do you expect to be a game-changer for your organization? Through 2018 oil and gas firms have made continued significant progress improving efficiency. With improving balance sheets and leaner operations, it is unsurprising that oil and gas executives are strongly focused on revenue and business growth as their top priority, as stated by 28% of the respondents. Caution, however, is still in evidence since the recovery is recent and market conditions remain volatile. Operational excellence provides a relatively low-risk route to growth and profitability and is the priority for 26% of respondents. Oil and gas company executives, senior leaders and functional managers are embracing digital. This year 22% of survey respondents rated it as top priority, compared with only 8% last year. Recognition of the capacity of digital innovation to both optimize and transform business models has crossed a tipping point in the industry, significantly elevating digital as a priority. Nevertheless, companies in most other industries are more likely to prioritize digital, a sign that traditional oil and gas industry inertia has not disappeared. Progress may be rapid by oil and gas standards but is only just keeping pace with trends outside the industry. The oil and gas industry’s striking enthusiasm for analytics continues unabated, with 44% of oil and gas CIOs expecting data analytics to be the top game-changing technology for the industry this year — double the percentage across industries. Despite occasional mixed results and scepticism of vendor promises, analytics has gained widespread acceptance based on multiplying use cases and demonstrated value. As digital ambitions intensify, analytics is consistently prioritized by oil and gas leadership seeking proven ways to derive business value from digital technologies. The greatly elevated priority of the IoT is new, with 24% of respondents now identifying it as a game-changing technology compared to 8% last year. As companies deal with existing inefficiencies, continued pursuit of operational excellence demands new strategies to improve asset performance, driving greater use of analytics for simulation and prediction of future behaviour. Analytics’ focus also shifts from reactive modelling offline to nearer real time. IoT offers advantages in data collection and system responsiveness over legacy systems to support this. However, cost-benefit considerations have so far acted as a brake on adoption, especially on mature assets. With renewed business growth the comparative advantages (and increasing cost-effectiveness) of IoT promise performance differentiation that will accelerate take-up. A stark difference between oil and gas and all industries is apparent in artificial intelligence/machine learning. Across all industries, artificial intelligence/machine learning is ranked as the No. 1 game-changing technology across all three categories of performers, with 40% of top performers placing it at the top. While it is the third-most-cited, game-changing technology in oil and gas, only 21% of industry CIOs rate it as the top technology. In part, this reflects the natural mistrust of the industry to hyped technology. Many oil and gas operators are still exploring ML and AI use cases and have yet to operationalize it. Understanding is more concrete for other technologies today, which — given the asset-centric nature of the business — are also expected to deliver significant value leading to a more even spread of expectation. Nevertheless, the growth of AI and ML, along with the elevation of IoT, indicates a shift in focus in the industry toward greater real-time connectivity and prediction for asset optimization. Read now the interview with Bertrand Chupin, VP of the Loading Systems business unit of TechnipFMC, a global leader in subsea, onshore/offshore and surface projects, with about 37,000 employees. Insights Global is an independent market research company specialized in international petroleum and petrochemical industries. We offer market data, market analysis reports, consultancy and training services to our customers to support their commercial decision making.